As beautiful as the trees are on your property, you should have some concerns when trees get to be too tall or overgrown. Overgrown trees can pose safety threats to your home and property and the property of your neighbors. Should one of those large trees come down on their own, there could be big problems for you if it damages your home, your car, your power lines or something of your neighbors, potentially costing you a great deal of money. The best you can make is consider removing the trees before they become a bigger problem for you. When you are looking for tree removal in Newbury Park, keep in mind that experience matters a great deal in a job like this and you want to hire a service you know you can trust. There are many people, contractors, and handymen that may offer tree removal services, but these companies and individuals may not have the experience or understanding of trees to do their best to make sure the tree comes down safely. You want to make sure you hire someone that has done the job for years, is licensed and trained to do this type of work and knows what to expect. While removing trees can be unpredictable even for seasoned professionals, having the best knowledge on your side for a job like this gives you the best chance of a successful removal without any incidents. 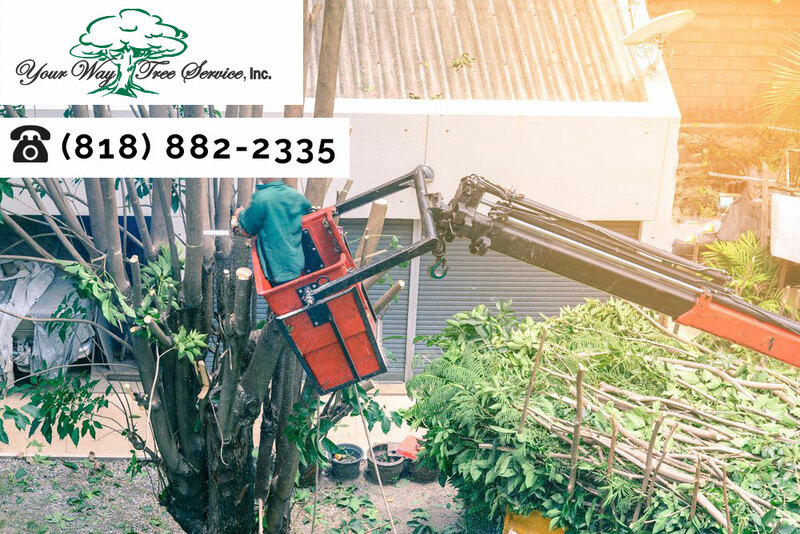 When you hire us at Your Way Tree Service, Inc. for your tree removal in Newbury Park, you will get a licensed, professional tree service working for you. We have vast experience in tree removal, are fully insured and use the correct tools and methods to make sure any tree that is removed is done as safely as possible. We can help you remove trees large or small and will have a team of professionals on-site to handle the job for you. To learn more about our tree removal in Newbury Park and the other services we can provide for you, give us a call at Your Way Tree Service, Inc. You can contact our office at 818-882-2335 to speak with us and schedule an appointment so we can look at your trees and make recommendations to you for the safest way for removal to keep your property safe and looking its best.